In the early 1960’s a storm blew the weather vane off the top of the church spire – which probably had been there since Victorian times. 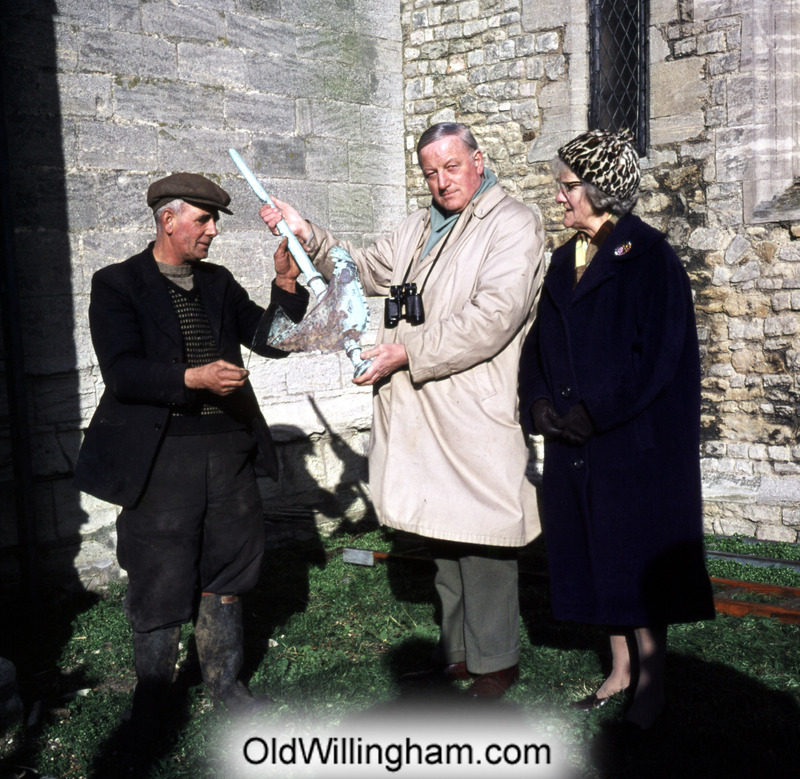 Here we see the churchwardens Alec Denson and Dr. James Flower, displaying the evidence with Mrs Bertha Few looking on. Dr. Flower took over as village doctor in 1951 moving into the Limes at the end of Newington and holding surgery there. He was well liked but did expect you to be properly ill if you visited. Reputedly, he would look round the waiting room and send anyone home who “just has a cold”. Alec Denson came straight from the field for this photo and his wife was very cross that he had not come home to change first! Next month we will see how they replaced it.